Insurance Panda, an auto insurance quote comparison website located in Manhattan, NYC, has released a list of the top “safe driving” mobile applications. These apps, which are readily available for devices like the iPhone, Android, Blackberry, and iPod, help people stay safe on the road. Application functionality ranges from helping the elderly stay focused while driving to helping young drivers learn how to drive. The InsurancePanda.com list includes apps for drivers of all shapes and sizes. The article posted on InsurancePanda.com states that mobile phones, smartphones, and mobile devices are now more widespread and popular than home phones. With these devices seemingly in everybody’s pockets, driving education methods are much more accessible and easy to use. Safe driving is growing more and more important, says Insurance Panda. In the first quarter of 2013, traffic fatalities increased by 13.5 percent and over 7,000 have lost their lives due to accidents in the United States alone. Another application that appears on the list is called “DriveScribe”. This app is especially useful for parents who wish to monitor their children’s driving and also help their kids drive safer. This app will prevent all calling and texting while driving and also will report back on the user’s driving habits. The list, located at http://www.insurancepanda.com/971/top-9-apps-for-safe-driving-insurancepanda-com-review-2013/, reviews nine different “safe driving” applications. Anybody who would like to learn more about these apps is free to visit the Insurance Panda website to read more. 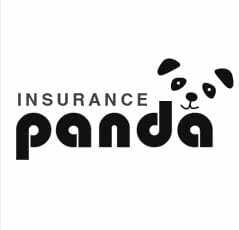 Insurance Panda is an automobile insurance related tech startup located on Madison Avenue in New York City. Founded in 2012 by internet entrepreneurs James Shaffer and Steffen Herrenghaus, Insurance Panda hopes to bring affordable auto insurance to all Americans. To get a free auto insurance quote from Insurance Panda, please visit http://www.insurancepanda.com today.